Des Plaines, IL February 4, 2019 – The National Association of the Remodeling Industry (NARI) will feature a presentation by National Gypsum’s Jay Watt, Director of Marketing and Chris Whitmire, Gypsum Systems Product Manager, as they discuss how drywall has evolved. Learn more about Why PURPLE® and how drywall technology has moved beyond the 1/2 inch product specification. Not all drywall is created equal. While all gypsum-based drywall is naturally fire-resistant, the PURPLE® family of high-performance drywall and cement board products is unique because it also resists moisture, mold and mildew. In addition, most PURPLE® drywall products also stand up to scratches, scuffs, dents and sound. Bring your questions and enjoy a lively conversation. Remodelers will leave this presentation understanding the multitude of specifications supported and the Power of PURPLE®. Where: NARI Exhibit, booth N-1173, 2019 International Builders Show in Las Vegas, NV. 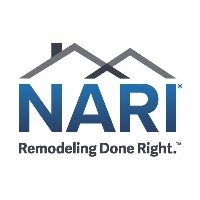 About NARI: The National Association of the Remodeling Industry (NARI) is the premier association of remodeling professionals and industry experts dedicated to advancing the professionalism of the remodeling industry and educating the public on the benefits of using a qualified professional. NARI has 6,400 member contractors, suppliers and service providers and 47 chapters across the U.S. NARI members adhere to a Code of Ethics and together as an industry promote “Remodeling Done Right™. Learn more about NARI and how to find a qualified professional remodeler at NARI.org.